Offering over 50 group fitness classes each week! Lyft Fitness has group exercise classes for everybody. 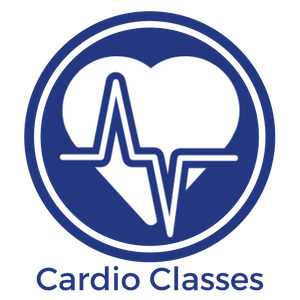 Cardio conditioning classes, body sculpt, boxing, yoga, indoor cycling, and aqua classes just to name a few! With our energetic and experienced instructors leading the way, we guarantee you’ll have many reasons to sweat with us in group fitness! Browse through our different class types offered or jump specifically to your preferred class type. Get ready to tone and sweat! This class combines elements of Pilates, Yoga, and general fitness and targets those favorite areas: abdominals, glutes, and legs!!! Train like a contender in these co-ed classes. Punching bags, focus mitts, agility drills. No partners, no contact, just a better YOU! This high-energy fight class blends together martial arts movements with classic fitness training exercises to provide you total body strength with a cardio KICK! Beginner to advanced group personal training. Total body conditioning and functional training. Burn 800-1000 calories per session. Lead by a certified personal trainer. Request a 2-week free trial or add it to your membership today! This next-level boxing class will help you further develop your technique and strength! Request a 2-week free trial or add it to your membership today! This dance fitness-party features exotic rhythms set to high-energy Latin and international beats. It’s easy to do, effective and totally exhilarating. A concert on wheels that will help you sweat and burn fat. You determine the intensity. Great for beginner to advanced. Using boxing moves to strengthen the legs, core and arms, the water’s natural resistance will help burn fat and increase muscular endurance! Get wet, get strong and have fun! Use the water’s natural resistance to burn fat and increase muscular endurance. This water fitness class will offer you a fantastic cardio workout, total body strengthening, will improve your balance, all without any impact. Great for fitness novices and those with injuries or physical limitations, as well as a fantastic way for athletes to cross-train. Get wet, get strong and have fun! Sculpt and tone every major muscle group in this all-levels strength training class using barbells, dumbbells, and body weight exercises! All levels and abilities welcome–you decide how much weight to work with. Strengthen and stretch with this heart saver class, using balls, sticks, bands and games to challenge you and have fun. Stretch, strengthen, increase balance and improve posture in this graceful yoga class. Yoga poses will be linked together in a flow or vinyasa sequence that feels like a moving meditation. Flow yoga challenges memory and coordination in a wonderful way and options will be given for more or less advanced yogis. All levels and abilities are welcome. This is the class your sore body and stressed mind has been craving! You will be practicing various myofascial release techniques with the foam roller and massage balls, in addition to longer-held stretches. Recover faster from those hard workouts so you can get back to training faster! Combine the power of soothing music, deep breathing and mental relaxation, you’ll leave the studio feeling refreshed and renewed. This beginner-friendly style of yoga focuses on alignment and posture as well as basic breathing techniques. 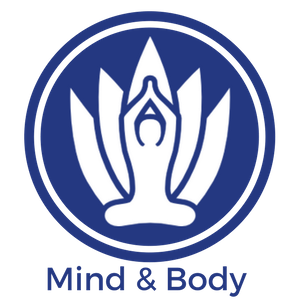 A great class whether you’re trying yoga for the first time or are an experienced yogi. Appropriate for all levels of fitness! This class will warm you up with 80-95 degrees of heat while you practice a graceful flow yoga sequence. Detox, increase circulation, decrease stress, improve balance, and build strength in this blissful class! All levels welcome. Please bring a reusable water bottle and a towel! Treat yourself to an hour of blissful physical, mental and emotional relaxation. We’ll practice yoga poses that encourage passive stretching to increase flexibility and release tension, and we will support the poses with props such as bolsters, blankets, blocks, or straps. Foam rollers and massage balls may also be used for myofascial release. This class is a wonderful way to recover from an intense workout or a stressful day. Greet your day with a wonderful wakeful yoga practice. A mixture of hatha and flow yoga will get you moving and breathing, aligned, balanced, de-stressed and ready to face your day with a smile. Want to try one of our classes free (maybe not just one, why not 3!) Claim an all-access pass to check out the group fitness program at Lyft Fitness.